With every client, Ross Cabling Systems will perform a comprehensive assessment of your current network cabling needs and identify what is required to connect all system components. Look to us to customize, upgrade, or expand your current system with the least amount of disruption to normal business operations. We work closely with architects, general contractors, electricians, IT and phone system vendors, furniture vendors and others to ensure proper integration. Since 2003, Ross Cabling Systems Inc. has established a reputation as a business partner who operates with honesty, integrity, and respect. 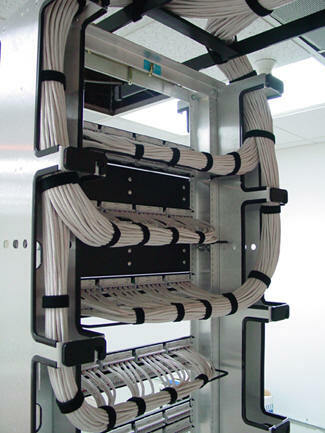 We have more than 25 years of experience with structured cabling and digital networking installations. We offer low voltage copper and fiber optic cabling for computers, telephones, printers, wireless access points, cameras and other networked components for commercial and industrial clients.